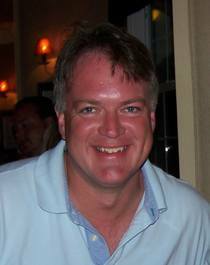 Vance Van Winkle, 45, of Richmond, passed away Tuesday, September 4 at Reid Health. Vance was born on January 30, 1973 in Winchester, Indiana to Arnold and Rosella Van Winkle. He was a 1991 graduate of Hagerstown High School and earned an Associates Degree from ITT Technical Institute. Vance was an Electrical Engineering Tech in the HVAC industry. He enjoyed making music, playing guitar and singing vocals in several area bands over the years. Vance will be missed by his parents, Arnold and Rosella Van Winkle; sisters & brothers-in-law, Dana & Michael Root and Debbie & Carl Vanover; brothers & sister-in-law, Greg & Barbara Tanner, Frank Tanner; nieces, Cherish Tanner and Kayla Tanner; nephews, Josh Tanner, Dylan Tanner, Evan Root, Michael Tanner and Brian. A funeral ceremony will be conducted at 1:30 p.m. on Friday, September 7, at the Smith-McQuiston & Webster Funeral Home, 321 US 27 South, Fountain City. Interment will follow in Willow Grove Cemetery. Family and friends may gather for visitation from 12:00 noon – 1:30 p.m. on Friday, September 7, at the funeral home.